You find yourself in the tree stand and have the game in sight. You concentrate, stand still, stop breathing, and finally, take the shot. You didn’t hit it in a vital point and the adrenaline rush makes the animal run frantically. You go after it and luckily find it, way deep in the woods. But wait, you ran so far from your tree stand that you have no idea how to get back. You are lost, but this didn’t have to happen. Not if you had your trusted GPS on you, that is. It’s time you did something to prevent these awkward situations that only cause you to lose energy and time. So I made a selection of, in my opinion, the best GPS devices for hunting. Having one of these, you won’t be bothered by the thought that you ever get lost, and instead, have the freedom to focus on your hunt. Initially, the handheld GPS systems that we use today were first used by the military. Using the Russian Sputnik satellite, US physicists discovered that due to the Doppler effect, they could track the location of the satellite by measuring the location and distance of receivers on earth. After years of developing the new technology, we can enjoy today’s GPS systems that are very easy to operate and offer great convenience for people in virtually any spot around the world. As the best buy in our selection, this hunting GPS from Garmin is quite a powerhorse. While it does not rock a touch screen it is a very reliable GPS in terms of maps and accuracy. It comes preloaded with high-quality TOPO US 100K maps and Birds-Eye (3d) Images. The built-in GPS and GLONASS systems are dead accurate because they use a high-sensitivity technology that is not available in every regular navigation system. In terms of build quality, this is a very sturdy hunting GPS, and since it features no fancy touchscreen, there is nothing to break (at least not so easy). It features a plethora of features like the sharing of your current location, creating custom trails that you wish to cover and much more. A feature that stands out for me, however, is the ability to connect with iPhones past and including the 4s, so you can receive texts and emails straight to your GPS. Isn’t that cool? 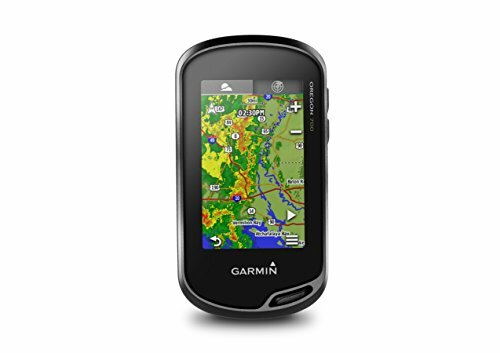 Overall if you want a quality GPS with good maps, a sturdy build, and a good value for the money then this Garmin is the one that most people would choose. The Garmin GPSMAP 66st Handheld Hiking GPS is the new model from Garmin GPSMAP 64st and it manages to overcome some of the minor flaws of the previous model. This one is still Premium GPS handheld that features Birdseye Satellite Imagery subscription and TOPO maps. It includes Multiple Global Navigation Satellite Systems (GNSS) support, tracking your experiences in the more difficult environments. It also includes barometric altimeter and three-axis compass. You may access to Birdseye Satellite Imagery and download with no annual subscription. It comes with preloaded TOPO US and Canada maps. The wireless connectivity sustains Active Weather so you can get the up-to-date forecasts. You may also benefit from the animated weather radar and Geocaching Live for the updates and mobile syncing. 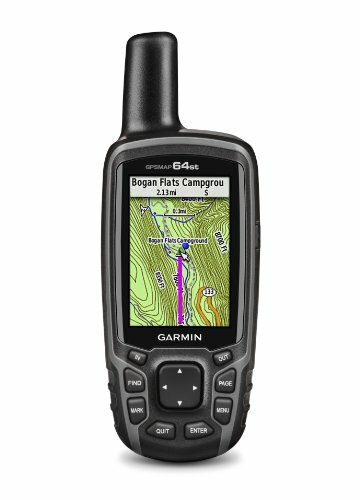 Compatible with Garmin ExploreTM website and app, the device allows you to manage your tracks, waypoints and routes. You may also take a look at the statistics from the field. The device comes with a large 3” sunlight-readable color display, so using it is going to be easy even in the light of day. It also features flashlight function which is great for signaling. The battery life is good and the device works pretty fast. The buttons differ from the previous model and they have a better click feel. Even though this one is a bit bulkier than the previous 64St, the menu is really similar. It’s made to military standards when it comes with shock, thermal and water performance. You may even use it with night vision goggles. Regardless of the minor problems, the new Garmin GPSMAP 66st is still a great device which is going to make the whole hunting experience a lot safer. 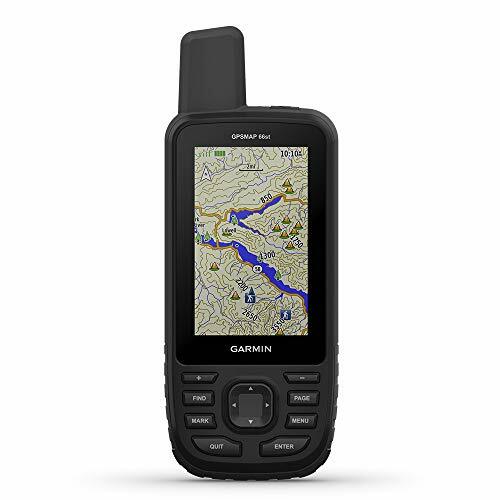 If classical buttons are not your thing and you want a hunting GPS with a great touchscreen, then the Garmin Oregon 650t is a smart pick. Speaking of the display, this unit features a 3-inch touchscreen that is readable in the sun and has multi-touch capabilities, meaning that you will be able to make more complex gestures on the screen, as opposed to other GPS systems in this price range. A thing that I love about this hunting GPS from Garmin is that you can use the display’s touchscreen with gloves on. Most hunters in cold environments regularly use gloves so this is a big plus in the convenience department. The GPS system is accurate and features topographic maps which are very detailed in places you wouldn’t expect them to be, exactly what hunters need. There are a bunch of other sensors included, like a 3-axis compass, an accelerometer and an altimeter for height estimations. 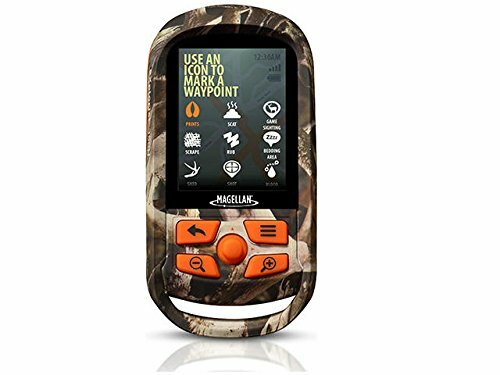 All in all, this is one of the best hunting GPS I have found on the market. It is sleek, well designed, has a great display and it does not cost a fortune. Way to go Garmin! 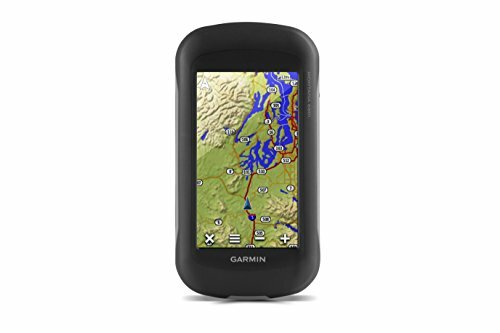 If you liked the Garmin Oregon 650, chances are you’re going to like the Garmin Oregon 700 Handheld GPS too. The new model of Garmin Oregon comes with a responsive 3in touch screen which is quite easy to read in sunlight. It comes with Dual Orientation (portrait or landscape). The new Garmin Oregon comes with a simple activity menu interface that includes hunt, fish, climb, geocache, hike and many more. We notice the Garmin Oregon 700 comes with an ABC sensors- 3 axis tilt-compensated electronic Compass with barometric altimeter sensors and accelerometer. The compass is going to help you maintain your bearing, even if you’re not moving, whereas the built-in altimeter is going to offer elevation data. This way, you may keep an eye on your ascent/descent. The barometer is going to keep you posted with the weather changes, showing you short-term trends in air pressure. Garmin Oregon 700 is IQ connectible so you may customize the device with widgets, data field, and apps. It has a rugged construction and an ergonomic design, taking dirt, dust and humidity very well. It presents an IPX7 waterproof rating. The high-sensitivity dual GPS and GLONASS satellite reception explain its accuracy and reliability. It also features Bluetooth-enabled smart notifications a various automatic uploads to Garmin Connect online community. All things considered, the new Garmin Oregon 700 is an accurate, rugged and useful device which isn’t going to let your down when hunting. Reasonably you may ask yourself, ‘Why do I need a standalone GPS? Wouldn’t a smartphone app do exactly the same thing?’ Yes and no. Although you can use a navigation app, you’ll find lots of inconveniences that I will highlight later to show that a dedicated GPS is an overall better choice for hunting. The Garmin Montana 680t Handheld GPS is a great device to take with you in every situation. Be it hiking, hunting, and even on the water, this GPS will handle it. Featuring a bold high-res 4 inches sunlight-readable touchscreen display with dual-orientation and a built-in 3 axis tilt-compensated electronic compass and barometric altimeter, the device comes in a rugged case covered in stealthy black color to suit the rest of your gear. It is made to withstand shocks, dust, dirt, humidity and water. It comes with preloaded 100K (24K maps can also be installed and used) US topographic maps, with lots of trails and details. These maps have come a long way and may surprise you with the level of detail, but even when they don’t include a trail in the area you’re interested in, the topographic data will still help you get a good grip on the terrain. Organize your trip with the BaseCamp software that lets you view waypoints, routes, tracks and also display the map in both 2-D and 3-D.
Another advantage of having a Garmin GPS is the ease with which you can share points and routes wirelessly with other Garmin users. Interface that’s intuitive enough to allow you to spend more time hunting and less on searching info. Garmin provides several different mounts for the Montana 680t: for the car, the ATV, or the boat. You can easily use it in the city, with an auto mount and a City Navigator map from Garmin. All in all, this is a very good navigator to help every hunter find his way out of the woods or other tangled environments. To come back to our smartphone comparison, let me ask you this: can you submerge your iPhone in water, drop it on the ground from face level and still navigate back to your checkpoint? You can easily answer this yourself. If you require a GPS with digital camera, you may want to have a look at the Garmin Montana 650 Waterproof Hiking GPS with 5 Megapixel Camera. Or a birds-eye view of all the Garmin Montana models . 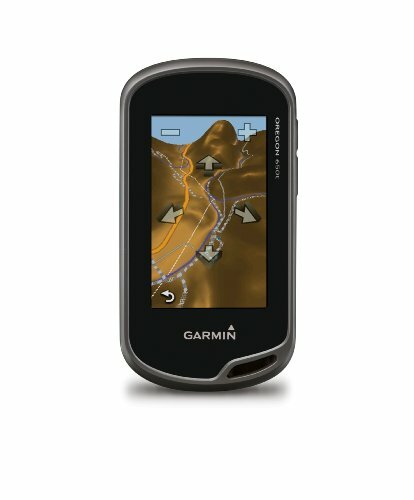 Alternatively, you can have a look at the 3” screen counterpart, the Garmin Oregon models. The Magellan eXplorist GPS is a pretty modest GPS, but for what it does, it does well. In a nutshell, it features a color LCD, traditional physical buttons for easy navigation, high impact resistance, great updated maps that include lonely roads, parks, waterways and even airports, and overall great dimensions that help it fit in most pockets. You can see its LCD as a drawback if you are all into fancy touchscreens. However, if you concentrate more on your hunting process and you only want something resistant that at the end of the day helps you get back to your tree stand, all without spending a fortune, the Magellan is surely a wise choice. A thing that you may consider important before buying this unit is that it does have a direct PC interface so you won’t have to worry about connecting it to your computer and updating your maps directly. So comes the verdict. Do you want a reliable GPS that does its job well and costs as little as a restaurant meal for 4? Then this is the right device for you. If, however, you want another device, Magellan has the eXplorist XL, with 3.5 inch Full Color display and with a SD card slot for virtually limitless map storage. 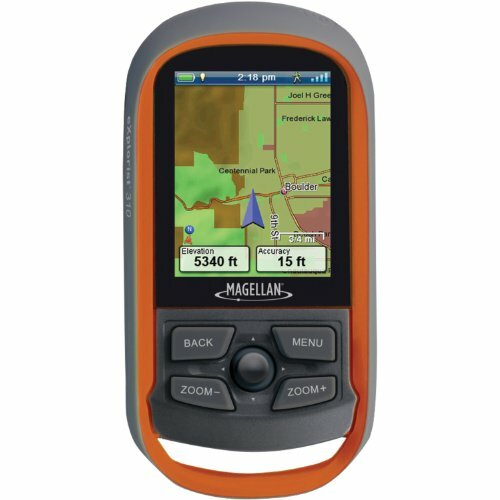 Especially designed for hunters, the Magellan eXplorist 350H Handheld GPS brings plenty of good features to the table. Rugged and strong, the eXplorist 350H has an IPX7 waterproof rating and it’s made to handle the outdoor conditions when hunting. Its interface is user friendly and the device comes with high-sensitivity SiRF star III GPS with 10-16ft. precision. The dedicated hunt features include more than 30 hunt specific waypoints, a detailed base map with contour elevation to use when going to the backcountry, and preloaded GMU’s and WMU;s.
You may view your tracks and even leave digital bread crumbs. The Track Summary is a nice feature, whereas the Suspend Mode and the 2 double AA batteries provide 18+ hours of battery life. The 350H also includes a pre-loaded hunt calendar and pre-loaded maps with complete city centers, road network, water bodies, trails and contour elevation and land use. 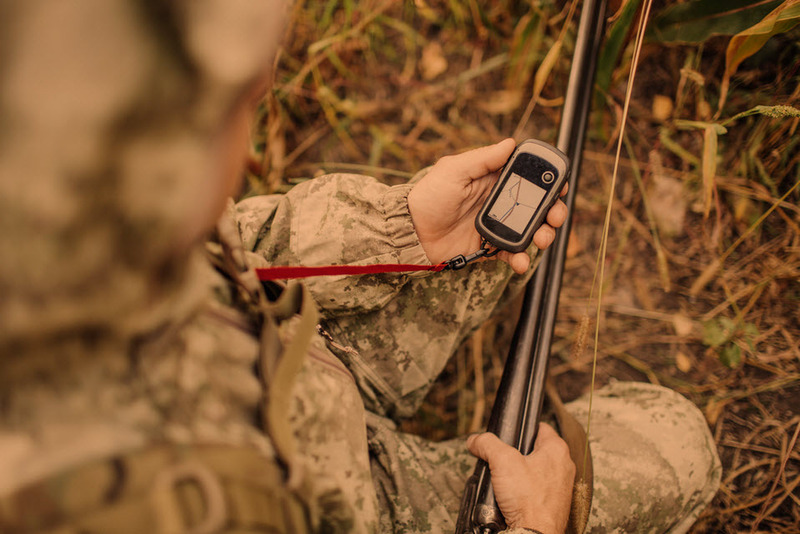 The eXplorist 350H comes with dedicated menu to choose specific USA or Canadian hunting zones, according to the GMU and WMU supplied date for every state/province. We truly appreciate the Boundary Alerts function which is going to help you stay in an authorized hunting zone. Long lasting and able to pick up signals even from inside the house, the device is a reliable tool for any hunter. The buttons respond very well and you may easily read it in the sunlight too. Truth be told, the 350H isn’t all roses and rainbows but you should stay focused on the goods as they are so many. The Garmin Etrex 30X is somewhat similar to the Montana 600t. To highlight some nice features, it has a color LCD display that is readable without backlight, uses standard AA batteries and it’s fully water resistant. The GPS comes with a base map that is covering many main streets and highways but is not so good at mountain trails, lakes or forests. You can, however, fix this really quick by downloading the Topo 2008 maps that cover most of these. And because it comes with a micro SD slot it’s even easier to get the maps you prefer right on the GPS without having to connect it to the PC. The 3-axis tilt compensated electronic compass is present on this unit as in the Montana 600t and also comes with a barometric altimeter that helps a lot approximating on your location and height. 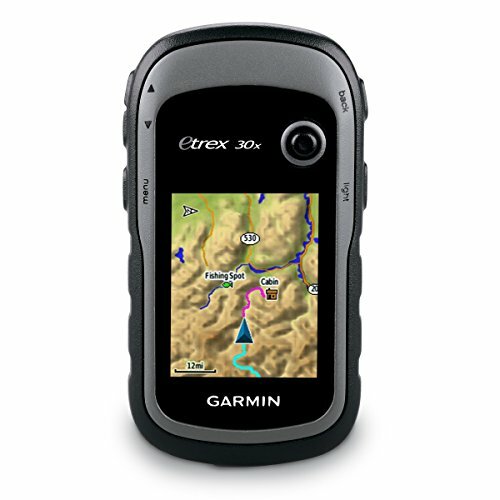 You can now lookup all the features of the Etrex 30X, and decide whether this GPS will help you on your next hunt. I think it surely will. As a hunter, you already have something heavy to carry with you – your gun. Why would you need another thing that would just make the job overall harder? Well, the Garmin Foretrex is not going to be a burden because it can be carried just by strapping it to your wrist and have all the valuable information you need just by checking it in a glance. It keeps track of routes and waypoints to help you choose your next trip program. It features a trip computer, sunrise and sunset times and hunting and fishing information that will prove useful at times. Its high-sensitivity receiver delivers fast signal acquisition and lock for reception in narrow valleys and under dense tree covers, situations you find yourself in many times as a hunter. Also, it is computer compatible and it allows you to load waypoints and routes directly from your PC via USB. 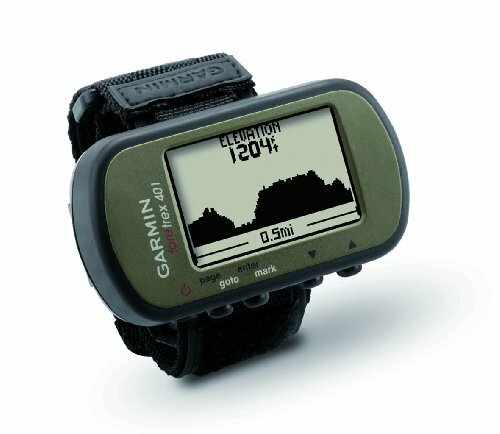 The Garmin Foretrex is not only used by hunters, army men are actually having good use of this GPS, due to its watch-like form factor and ease of use. It is a good and reliable device that will provide the most valuable information you’ll need when out hunting. We consider it a very good unit that you should consider when deciding what to buy as your next GPS if you didn’t already do. 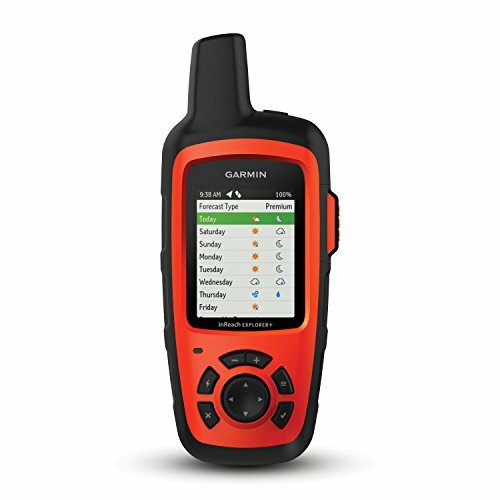 User friendly and lightweight, the Garmin inReach Explorer+ is one great device to take with you when hunting. The GPS comes with 100% global Iridium satellite which is able to enable two-way text messaging, no matter where you and the other person may be. Even though you’re going to need a satellite subscription, it’s easy to connect/disconnect when using the Garmin inReach Explorer+. You may track and share your location at one time with your friends and family. You may easily pair it with your mobile devices using the free Earthmate app for accessing the downloadable maps. You may also download color aerial imagery, US NOAA charts and many more. InReach Explorer is also giving you the possibility to add preloaded DeLorme TOPO maps with GPS routing. It features a built-in barometric altimeter, digital compass and accelerometer. You may even use all of the inReach features from the paired mobile device. As you can also sync the inReach with your phone’s contact list, it’s only natural that you’re also able to message your friends with few keystrokes. The build has a durability feel to it. The device has an IPX7 waterproof rating. It comes with a rechargeable LI-Io battery which lasts pretty long. The transmit/receiver speed is good and the device is easy to use. It’s lightweight and accurate, so you should throw it in your backpack when hunting. Reliable, accurate, lightweight and useful, the inReach Explorer+ is a wise investment of your money any given day. The Bushnell is a pretty straight forward GPS device. It doesn’t wave fancy features in your face that you probably don’t need. It has a simple display with a blue backlight that shows sunrise/sunset and moonrise/moonset times as well as barometric pressure. A very nice feature that many hunting GPS lack is the accurate prediction it makes during periods of peak animal activity based on a variety of data, and as a hunter, this is surely a useful feature. Also, it logs up to 48 hours of trip data and stores up to 25 locations. It is a good all around performer in bad weather, however, if you abuse it too much the plastic back may eventually fail, the screw that keeps the batteries in place is also made of plastic and unscrewable by hand. So if you are a more active kind of hunter, like an uplander who hustles a lot, you should consider another unit, perhaps from those suggested above. 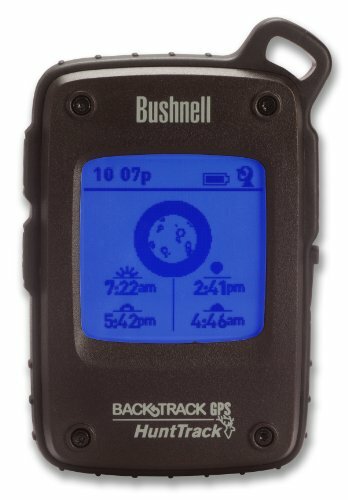 The Bushnell BackTrack Hunt GPS does its job pretty well and can be a handy companion for your next hunting trip. So why not make yourself a really useful gift? No matter if you want a fancy and colorful GPS with many functions and detailed maps, or just want to go with one that doesn’t require you to pull out the king’s ransom out of your pocket, we got you covered with 5 of in our opinion the most suitable GPS units for hunting. Many GPS device models out there are produced by the good old Garmin company, but you can also choose a Magellan or Bushnell that will do the job just as good. You have a good chance to find what suits you best by reading this review. So if you decided that your next GPS for hunting will be one on this page, go on, make the purchase with confidence.